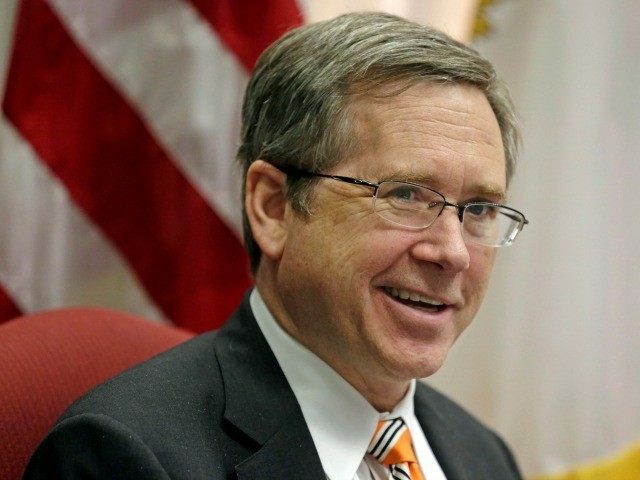 Only days after a high-profile Democrat opponent announced a run to take his seat, Illinois Republican Senator Mark Kirk is coming out swinging. Not against his opponent, but against fellow Republican Mike Pence for signing Indiana’s Religious Freedom Restoration Act. On Wednesday, Kirk attacked Indiana’s Republican Governor for signing his state’s much-dissected Religious Freedom Restoration Act, saying that he “strongly opposes” the governor’s actions. “We should not enshrine bigotry under the cover of religion. It’s not just bad practice—it’s un-American,” he said in his statement. Kirk’s statement comes as no surprise because he has always been a big supporter of the homosexual agenda. In 2013, he was one of only 11 Republicans to sign onto an amendment that would give gay partners access to their spouse’s social security payments. He has also been an outspoken supporter of gay marriage. The Senator has long been a politician who has bucked his party. Kirk was given a low lifetime rating of 51 percent on the Heritage Foundation legislator scorecard for his often center-left voting record. Kirk is up for re-election in 2016, and at least one opponent has already announced a bid for his seat. Illinois Congresswoman Tammy Duckworth (8th District) announced her run for Kirk’s seat via a Youtube video on March 30. Despite scant previous experience and a thus far uneventful 2 years in her first elective office, Duckworth comes highly touted by top Democrats as the candidate who might take Kirk’s seat in a state that repeatedly puts Democrats into office. This week, Duckworth also became one of the first Democrats to call for Hillary Clinton to testify before a special select committee investigating the Benghazi terror attack of 2012.